When you find peace within yourself you become the kind of person who can live at peace with others. This entry was posted in inspire, Uncategorized. What can I say? I am inspired. I was nodding my head at every quote. It’s hard but if I had to choose a favourite it Is “Let’s go invent tomorrow instead of worrying about what happened yesterday.” Save the best quote until last. Two days back I finally watched the movie ‘Jobs’ where Ashton Kutcher is playing the role of inventor, entrepreneur, and former CEO of Apple – Steve Jobs. What a great man he was! I can’t help but also admire Kutcher for his marvelous acting in portraying Jobs! 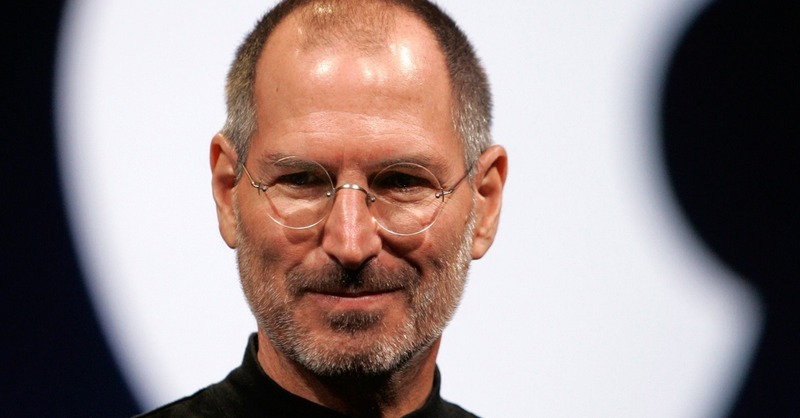 While it is often said that Jobs wasn’t the nicest of guys, he played a significant role in some giant steps for technology, and he was a wise visionary I must say. I have been reading about him since then and my admiration for this man has only increased. I thought I’ll share with you some (actually quite many 😛 ) amazing lines from movie which are either his direct quotes or compilations of his quotes. This entry was posted in Quotes and tagged age, born, cheer, festal, new, time, Walter Scott. This entry was posted in Quotes and tagged Cyril Cusack, New Year Resolution. Tomorrow is the first blank page of a three hundred and sixty-five page book. Write a good one. This entry was posted in Quotes and tagged 365, Brad Paisley, page, tomorrow, write. You are a child of the universe, no less than the trees and the stars you have a right to be here. And whether or not it is clear to you, no doubt the universe is unfolding as it should. This entry was posted in Quotes and tagged child, clear, Desiderata, right, stars, trees, unfold, universe. This entry was posted in Quotes and tagged best, day, heart, Ralph Waldo Emerson, write, year. This entry was posted in Quotes and tagged appropriate, appropriateness, Charles Dudley Warner, excellence, gift, value. There is nothing in this world so irresistibly contagious as laughter and good humour. This entry was posted in Quotes and tagged Charles Dickens, contagious, good, humor, humour, irresistible, laughter, world. I’m sure everyone can recite this story at least in part and no doubt reciting even just the first verse of this classic brings a smile to everyone’s face. To me and I am certain many others, this story, above any other, brings back warm childhood memories of the magic of Christmas. My Dad recounted many times having read “ ‘Twas the Night Before Christmas” every night as my bedtime story of choice from Hallow’een till Easter when I was small. Although I didn’t know what sugar plums were and never thought to ask, they sure sounded delicious. And even though I didn’t know what an elf was or had never seen a mouse in our house it really didn’t matter because that timeless rhyme would cast its spell every night. I guess that’s why I can still recall it almost in its entirety even though I haven’t read it for many years. Yes the years have gone by and I’m now older than my father was when he read it to me, and if I had kids I would enjoy reading it to them as much for their enjoyment as mine. I now sport a belly that shakes like a bowl full of jelly when I laugh but I can’t claim to have owned any reindeer. I haven’t a clue what I’d do with eight reindeer let alone one. Anyways I’m sure reindeer aren’t suited to condo life even if they do know how to fly. But coming back down to earth, the warm fuzzy feeling and glow that this wonderful story gives to all kids from 1 to 92 is what I feel is important to hold in our hearts not only during the Christmas season but throughout the year. The hope of one day achieving true peace on earth and the joy we have in wishing good will to all those we meet is where we can find the true meaning of Christmas, that first Christmas many years ago which witnessed the miracle of life and love in the birth of a tiny baby. Christmas is for children, for getting together with family and friends and for memories of those who are no longer with us. Christmas is a time when we can relive that magical world of childhood where we can see good in everyone and everything. May we carry this feeling dear in our hearts now and throughout the coming year. This entry was posted in Story and tagged children, Christmas, condo, creature, elf, fly, house, joy, kids, life, magic, merry, mouse, night, peace, plum, reindeer, sugar.